Jesse is a born and raised Calgarian which gives him considerable knowledge of the city of Calgary and all of its diverse communities in the SW, SE, NW, NE and Downtown core. 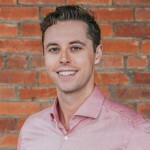 Jesse brings a wide range of skills rooted in his Bachelor of Commerce degree which includes marketing, advertising, promotions, personal communications, and business negotiations making him an all around great Realtor. Jesse is a Certified Condo Specialist in Calgary and has recently switched brokerages to RE/MAX house after being the #1 agent at FirstService Residential Alberta Ltd located in Calgary for 10 straight years. Jesse is also the Director of Sales for RNDSQR an inner city builder here in Calgary. He is working towards his Accredited Appraisers Designation (AACI) in the Calgary area adding to an on-going and persistent goal to continually keep his skills and education up to date for all of your Calgary Real Estate needs.